From Tofino, British Columbia to Alert, Nunavut to Cape Spear, Newfoundland and Labrador, Canada provides nearly 10 million square kilometres of breath taking beauty. With all that ground (and water) to cover, it is essential to have a source on how to best experience it all. The Eh Canada Travel & Adventure website does just that, covering more than 365 communities, 4500 parks, trails, historic sites, beaches, lakes, rivers and more. Headquartered in British Columbia, Eh Canada is a social travel, interactive website, and is the largest privately-operated Canadian website and the only booking, planning and interactive website in Canada. The site experience is enhanced with over 16,000 photos — all complimented by an award-winning blog and supported by 12 social media channels. 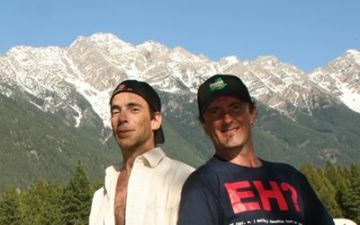 Colin and Greg Girard, the founders of Eh Canada, have spent the last eight years on the road researching Canada from coast to coast to coast in order to provide users with an accurate portrayal of our beautiful nation. "Our mission is to connect Canada on one website, not just for booking accommodations and attractions, but also for planning and researching activity destinations, therefore extending seasons and increasing the length of stays in the region," said Greg Girard, Chief Tourism Marketing Officer. Colin, Chief Technical Officer/Head Guru, has been involved in the global tourism community since 1990. Beginning in Jasper, Alberta he worked his way up the managerial ladder. 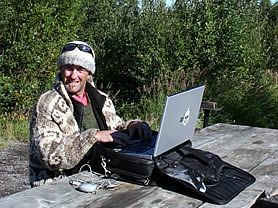 In 2000, he took his several years of website design and search engine optimization to branch out on his own — creating a community website for the town of Sidney, B.C. on Vancouver Island. Today, that website has grown into a network of communities spanning across western and northern Canada called, eh Canada Travel & Adventure. Greg’s extensive experience in sales, marketing, research and business development had brought him to Dresden, Germany where he was working as an International Marketing Director for a software publishing company. 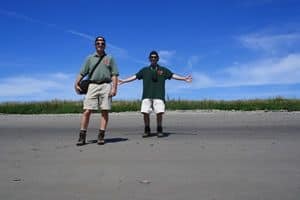 In 2002, he made a life changing decision and left his job for a quality lifestyle and partnered up with his brother to grow their nine tourism websites. 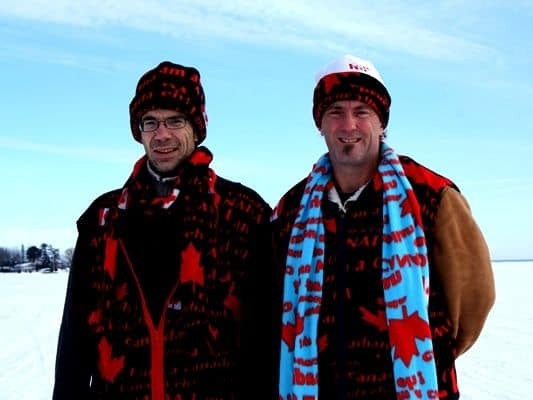 In 2013, eh Canada Travel & Adventure was created. The brothers noticed that while the web was filled with many sites specific to booking accommodations, there was an obvious void when it came to finding a site that was interactive and could help you plan what to do on your trip. “We started with the one community website to assist people with planning adventures. Then, lo and behold, businesses wanted to advertise with us,” explains Colin. More businesses signed up for advertising, and as they saw a return on their investments, they started encouraging the brothers to expand. “So, we left our jobs, sold everything and took the leap,” says Greg. What happened next was an epic cross-Canada tour of discovery. “Every province in Canada is beautiful and has something unique to offer. There are no "have-not" provinces or territories in Canada when it comes to tourism, travel and adventures,” he states of their experience. When asked what their biggest achievement so far has been, Greg answers readily, “The biggest achievement has been getting the project off the ground with little funding and no industry support in an aggressive environment dominated by heavily funded government associations and big out-of-country corporations.” On the flip side their biggest challenge was educating the tourism businesses across Canada about online tourism, technology, and emerging trends. “Here, at eh Canada, we try to take advantage of technology to facilitate our growth. Our website went from a one community static HTML website to what it is today. We like to think we are leading the industry in tourism technology. Our clients know this. Now we just have to let the whole country in on it!” states Greg. “The people who hike the trails, live in the communities, fish the lakes, golf the courses are the experts and now they have an international platform to share their experiences and get the credit,” says co-founding brother, Colin Girard. Key features of the site include social media, status updates, likes, shares, follows, six live scrolling travel community walls, and 15 content marketing tools which enables travellers, Canadians, and businesses to add content to the website. Unlike static information posted on traditional travel and tourism websites, eh Canada Travel and Adventure encourages people to post real-time experiences, knowledge and content to the website, therefore becoming part of the website assisting travellers visiting their region. Every contributor is credited as the author alongside the post or on the top of the page. This capability enables businesses to participate in the tourism marketing of their region in real time and better understand traveller preferences and tendencies, extending their global marketing reach. With eh Canada Travel, once you are a member, the sky’s the limit on how many ads you want to market based on content contributions. Promotional areas throughout the website provide visitors with the opportunity to book with businesses directly and to research parks, trails, historic sites, rivers, lakes, beaches, etc., as well as, travel deals and events. "The interactive, real time design of the site provides an innovative platform for travellers, businesses and Canadians to share their expertise, experiences and knowledge, and — ultimately — play a large part in creating Canada online as a top travel destination in the world," says Colin. Watch out for eastern and Atlantic Canada, they are scheduled to come online by the summer of 2017. 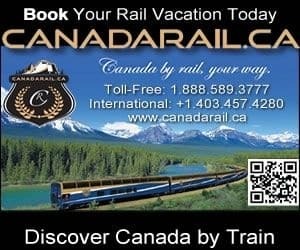 Check out ehcanadatravel.com for more information.